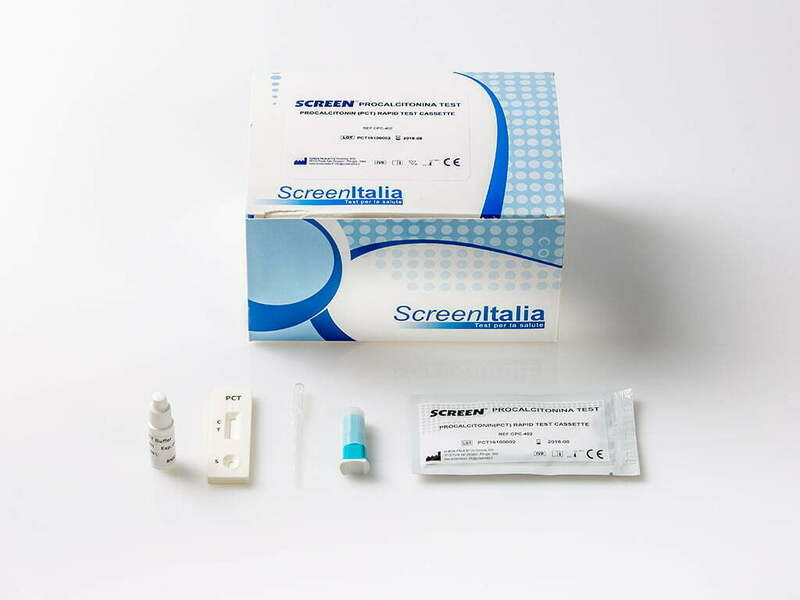 The PCT Rapid Test Cassette (Whole Blood/Serum/Plasma) is a rapid chromatographic immunoassay for the qualitative detection of Procalcitonin in serum or plasma. The PCT Rapid Test Cassette (Whole Blood/Serum/Plasma) is a qualitative, lateral flowimmunoassay for the detection of PCT in serum or plasma. The membrane is pre-coated with anti-PCT antibody on the test line region of the strip. During testing, the serum or plasma specimen reacts with the particle coated with anti-PCT antibody. The mixture migrates upward on the membrane chromatographically by capillary action to react with anti-PCT antibody on the membrane and generate a colored line. The presence of this colored line in the test region indicates a positive result, while its absence indicates a negative result. To serve as a procedural control, a colored line will always appear in the control line region indicating that proper volume of specimen has been added and membrane wicking has occurred.